Ebola virus is a virulent pathogen that causes highly lethal hemorrhagic fever in human and non-human species. The rapid growth of this virus infection has made the scenario increasingly complicated to control the disease. Receptor viral matrix protein (VP40) is highly responsible for the replication and budding of progeny virus. The binding of RNA to VP40 could be the crucial factor for the successful lifecycle of the Ebola virus. In this study, we aimed to identify the potential drug that could inhibit VP40. Sugar alcohols were enrich with antiviral properties used to inhibit VP40. Virtual screening analysis was perform for the 48 sugar alcohol compounds, of which the following three compounds show the best binding affinity: Sorbitol, Mannitol and Galactitol. To understand the perfect binding orientation and the strength of non-bonded interactions, individual molecular docking studies were perform for the best hits. 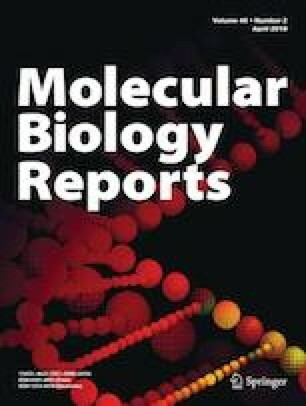 Further molecular dynamics studies were conduct to analyze the efficacy between the protein–ligand complexes and it was identify that Sorbitol obtains the highest efficacy. The best-screened compounds obtained drug-like property and were less toxic, which could be use as a potential lead compound to develop anti-Ebola drugs. The authors take this opportunity to thank the Nanyang Technological University for providing the facilities and for encouragement to carry out this work. NN and HYY were involved in designing the experiments. The acquisition, analysis and the interpretation of the data were carry out by NN, HYY, EKYY, and NQKL. All the authors approved the manuscript.